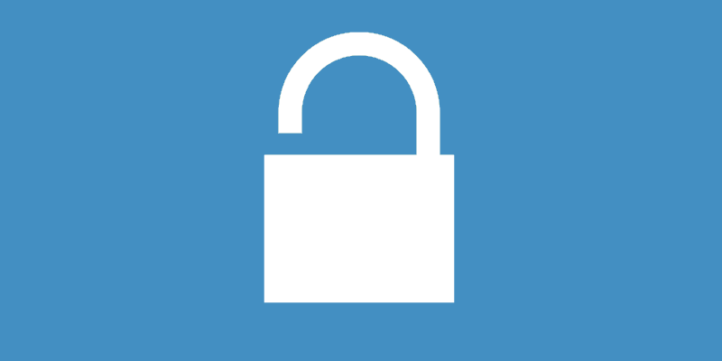 Get Spam Protection and 12 more extensions included in the discounted All Access Pass! Over $800 in annual savings! FormLift Spam Protection will keep your Infusionsoft App hassle free. No need for tricky spam traps or expensive 3rd party solutions. 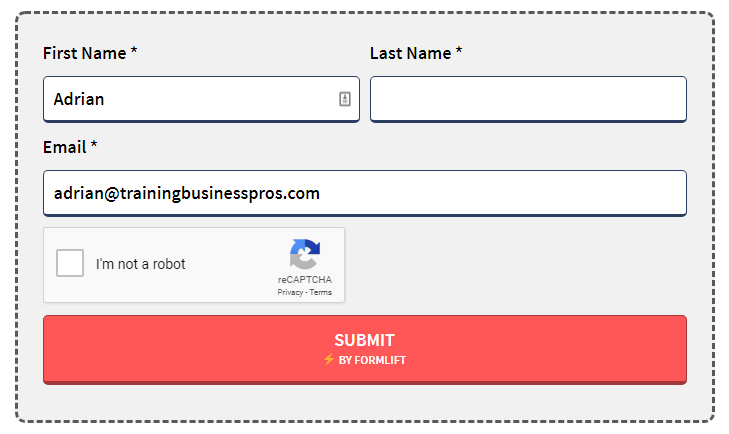 FormLift will automatically enable bot stop protection on all forms. From now on you can disable the terrible spam catch Infusionsoft has on their forms, and instead put it where it should have been originally, on the user end in the form itself. WANT 10% OFF SPAM PROTECTION? whether you already have FormLift or not, if you're thinking that you might need Spam Protection, you can get 10% OFF by completing our 6 step guided setup! 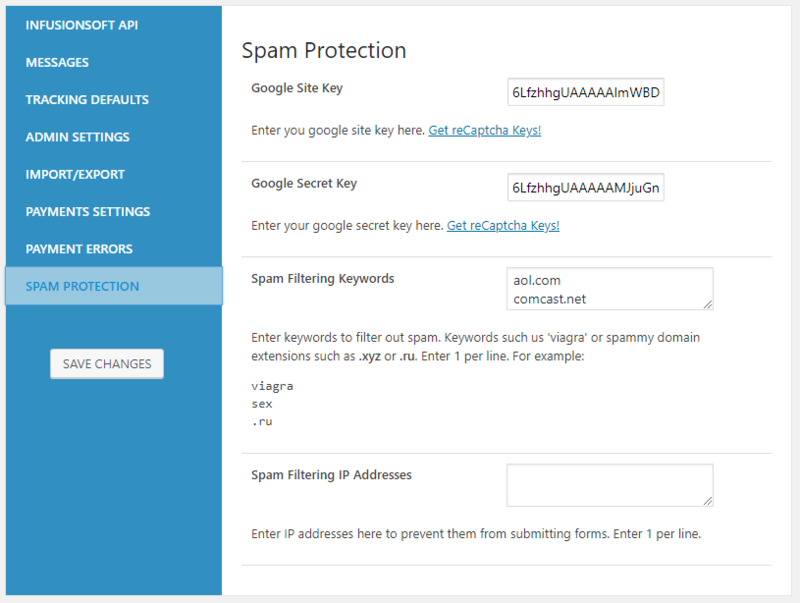 Use filtering tools to black spam before it gets into Infusionsoft. With IP blocking and keyword filtering, you can catch all the bots in your net. Have bots ever slipped through? To date we have not received any reports that bots have been able to slip through the cracks. Can I change the ReCaptcha Color? Currently, Google ReCaptcha v2 only supports a light theme and a dark theme. FormLift does not support invisible ReCaptcha. Anything! you can enter domain names, viagra, short hands long hands. You name it. all keyword comparisons are literal. 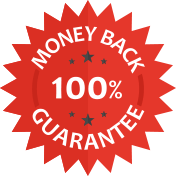 We are so sure you’ll be happy with your purchase that we offer a “30-Day Money-Back Guarantee” to ensure customer satisfaction of Spam Protection. If for any reason you wish to discontinue using Spam Protection, we will promptly issue a refund.